What mosquitoes are attracted to remains a bit of a mystery, which experts are still trying to solve. Biologists and entomologists (bug experts) alike continue to search for the answer. Mosquitoes continue to be a serious threat to humans, since they're capable of spreading deadly diseases. Within a given group of people, mosquitoes will attack some, while others are left alone. There are those who claim to be “mosquito magnets.” We will now try to answer the question of why they are more attractive to mosquitoes. 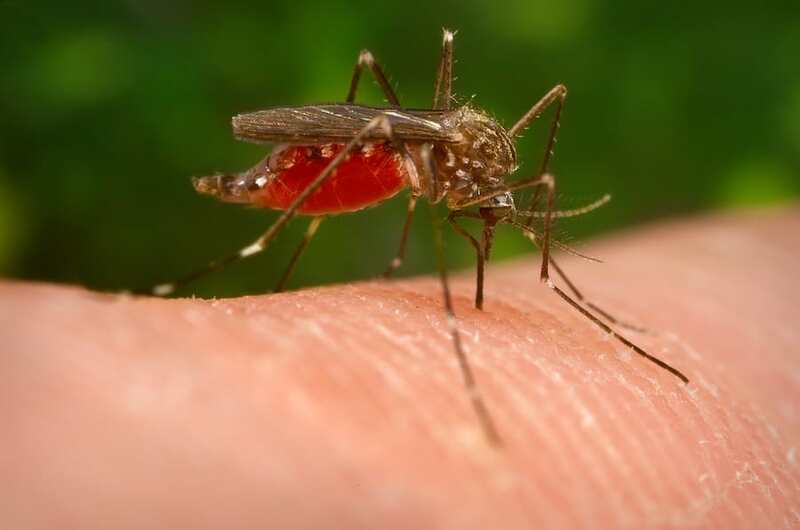 Blood may seem like a pretty obvious attraction for mosquitoes. In fact, our blood is the main reason why these bloodsucking pests travel so far from their nests to feast on us in the first place. It is the female mosquito who bites us. However, she doesn’t actually feed on blood merely because she enjoys the taste. Human blood contains numerous substances which she needs to grow her eggs. Two major groups are proteins and minerals. After the female mates, she flies off to find a blood meal to acquire the necessary compounds. During a bite, she can drink up to three milligrams of blood. For us, this is no more than a speck, but relative to her size it is a very large meal. The mosquito doesn’t like just any blood. There are specific blood types which she finds more attractive. One study concluded that people with type O blood tend to suffer from more bites than those with type A. This doesn’t apply to all species of mosquitoes, however. Many types are opportunistic feeders, so whether you are a type A or O, cat or human, she will bite. Without even knowing it, around 80 percent of people are so-called secretors. This means that, through our skin or saliva, we actually emit certain traces which reveal our blood type. Mosquitoes can detect this before biting us. This then allows those with a preference to choose their next blood type O victim. Only about 20 percent of us don't leave any clues for the mosquitoes to follow. When we exhale, we emit small amounts of carbon dioxide (CO2). We create this gas when inhaling oxygen and nitrogen. These two substances work to break down the nutrients found in our food to produce energy. The result is carbon dioxide. When we breathe more heavily, for example, when exercising, we produce more CO2. Mosquitoes utilize this scent to find people to bite. In fact, they can sense our emissions from a distance of more than 150 feet. The female mosquito has a specific set of nerve cells called cpA neurons. These work as receptors, which are able to detect our CO2 fumes. One study revealed that when the mosquitoes' carbon dioxide receptors shut down, they would lose their sense of smell as well. This is important since body odor is also attractive to mosquitoes. During this investigation, scientists exposed the mosquitoes to a particular chemical that dimmed their receptors. While under the influence of this chemical, experts placed the mosquitoes in a wind tunnel together with some beads. These beads had previously laid within a pair of socks to give them a human foot essence. When both mosquito species Aedes aegypti and Anopheles Gambiae were inside, they didn't seem to notice any odors. This appears to prove the theory that mosquitoes use the CO2 receptors for more than just detecting carbon dioxide. Ideally, we could block these receptors as a method of repelling mosquitoes. Unfortunately, most of the chemicals used to block the receptors are unsafe to use around humans. In addition to the safety concerns, they release very unpleasant odors. However, researchers were able to find at least two substances which could be used. These are ethyl pyruvate, which has a fruity aroma, and cyclopentanone, a minty-smelling compound. Ethyl pyruvate will block the mosquito's receptors and therefore hinder the pest from biting. Cyclopentanone, on the other hand, may attract them towards a trap. Some manufacturers have created mosquito traps which emit carbon dioxide when heated. Theoretically, this will make the mosquito think that the machine is a living, breathing human and fly towards the trap. However, it is missing the crucial element of body odor. While blood and CO2 will play a significant role in attracting mosquitoes, odor coming from skin is the most irresistible. Your friends may hate that old, sweaty smell the day you didn't have time to shower. Mosquitoes, however, will love it. It is not only those who shower less often; body odor, in general, can attract these pests. When we move or exert ourselves, our body temperature rises. To avoid overheating, glands across our skin will begin to produce a liquid, otherwise known as sweat. Since mosquitoes are attracted to these essences, they generally bite us where they find the strongest odors. This helps to explain why they often aim for our feet, ankles, hands, and wrists. These are the places where most people tend to sweat excessively. Sadly, these areas often take more time to recover from the bite since the skin is relatively thin. The itchiness lasts for longer, and we often can't resist scratching these places. Both in our breath and on our skin, we emit fumes which include, among other things, lactic acid. This is a special favorite of mosquitoes. This type of acid shoots through our skin every time we are active, or after eating specific food items. These foods include those high in carbohydrates and glucose, or sugar. Lactic acid is like a magnet for mosquitoes. The more you have on your skin, the more attractive you will be to them. Mosquitoes tend to be attracted to people with higher body temperatures. They are attracted to the heat itself. But this is also compounded by the fact that those who have a higher temperature often tend to sweat more. As they sweat, of course, more odors are released through their skin. People with higher body temperatures often include those who are overweight, or women during pregnancy. Those who regularly exercise also fall into this group. And then there are people who simply have a higher body temperature as their baseline. Whatever the reason, people with elevated body temperatures are likely to hear more buzzing around their ears and be bitten more often than others. Several mosquito species utilize their vision to target potential blood victims. We might be prone to thinking that wearing bright colors would make us stand out from the crowd. However, mosquitoes don't play by this rule. Indeed, they find it easier to spot dark colors. If you were to wear a navy blue shirt, for example, the mosquito will likely choose you over your rainbow-clad friend. Colors like navy blue, black and even dark red, make us more attractive in the mosquito's eyes. Due to the way light varies throughout the day, this is especially true toward late afternoon. Beer, for unknown reasons, caught the attention of mosquitoes in one study, although more research is still needed. This particular investigation revealed that higher numbers of mosquitoes landed on people after they had consumed at least 12 ounces of beer. There is some logic as to why this is the case. Beer can give a distinct odor to your breath, but researchers were more interested in the individual's skin. When we consume alcohol, our body temperature increases and this, in turn, makes us sweat. The content of ethanol within the sweat could rise as well, and researchers believe this may be the attractant. Considering all the facts, studies have yet to confirm precisely why mosquitoes are attracted to people who drink. But until we know more, you may want to hold back on the beer at your next barbecue if you're not wearing repellent. Considering all the various diseases mosquitoes can transmit, it makes sense that we all want to avoid them. According to the World Health Organization (WHO), mosquitoes are responsible for one million deaths worldwide each year. Among these are many young children. Needless to say, anything which makes us less attractive to mosquitoes is welcome. As we have seen, our blood and sweat are two of the main things which make us attractive to mosquitoes. Since we can't change the blood in our veins or regulate how much we sweat, repellents are our best defense. These spray-on chemicals contain specific compounds that make you less attractive to mosquitoes. There are numerous repellents on the market. The center for disease control and prevention (CDC) recommends that you apply those containing either DEET, picaridin or oil of lemon eucalyptus (OLE). Para-menthane-diol (PMD) or 2-undecanone are also suggested. The environmental protection agency (EPA) has deemed these ingredients safe to use, as long as you follow instructions. Apply on any exposed skin as well as the face. For children, spray some repellent onto your palms and then spread it on the cheeks and forehead. Take care to avoid the eyes, mouth and baby hands. Remember to reapply after a few hours. You should note that you should not use repellent on babies under two months. Instead, dress them in clothing which covers most of the skin. Mosquitoes love the sweet essences of our sweat and the bacteria thriving on our skin. An excellent way to make yourself less attractive is by keeping your skin clean. After exercise, or if you are sweating for other reasons, remember to shower and wash your skin with a mild soap. Keeping yourself clean will not only make your friends and colleagues happy, but you'll also be dodging more mosquitoes. You could also try to avoid applying flower-scented perfumes, as these could undo the benefits of your clean skin. Nectar is what mosquitoes are primarily attracted to, since they feed on flowers. Smelling like a flower would only serve as a personal invitation.